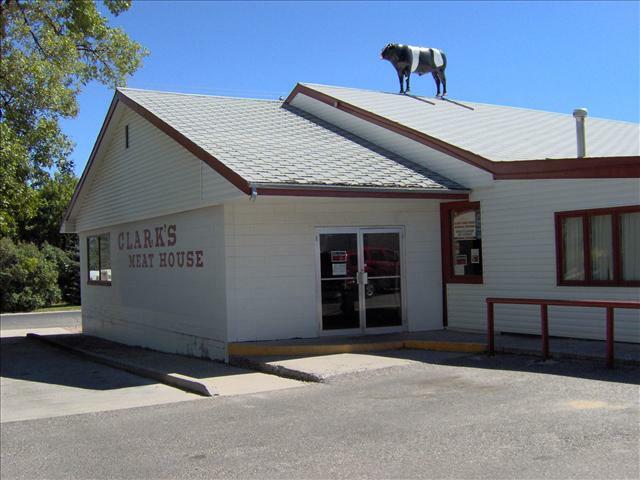 Clark`s Meat House was founded in 1963 in Riverton, Wyoming and was built into the "House of Quality Meats"
Clark's Meat House was founded in 1963 in Riverton, Wyoming and was built into the "House of Quality Meats" we all know and love today by the original owners, Grant and Inger Clark. Grant learned his trade first-hand as a young boy working in his father's meat shop located in Casper, Wyoming. Over the years they acquired many awards for their meat products (too many to hang on the office walls), created a meat seasoning that is now shipped throughout the United States, and are founding members of the Wyoming Meat Processors Association. Grant and Inger's passion for the business, dedication to quality products, and focus on customer satisfaction were passed on to David and Maggie Haworth when they purchased the business in August of 2005. As a condition of the sale, Grant and Inger were asked to stay involved as mentors and advisers. What an awesome opportunity for us to learn from the best! To build our experience and knowledge of the industry, we immediately became active members of the Wyoming Meat Processors Association, participating in every educational seminar and convention available, and are currently serving as this year's President and Secretary, respectively. David also joined and became a very active member of the American Association of Meat Processors and just finished his three-year commitment as a Director in this national organization. To make sure we are heading in the right direction with our meat products, we have entered many competitions and are very proud of our growing list of awards (see Awards link on the left side of this web page). Since 2005 we have remodeled the retail area of the meat house by adding more meat cases to showcase a wider variety of fresh products, added Wyomin' Dave's BBQ Seasoning to our offerings, and reintroduced a smokehouse to the facility to offer locally smoked bacon, hams, turkeys, and a fantastic selection of smoked meats, sausages, jerky and snack sticks. This year we are broadening our offerings to hunters. In addition to grinding and wrapping wild game we are now offering to turn your wild game into bratwurst, kielbasa, summer sausage, salami, and meat sticks with our award-winning recipes.